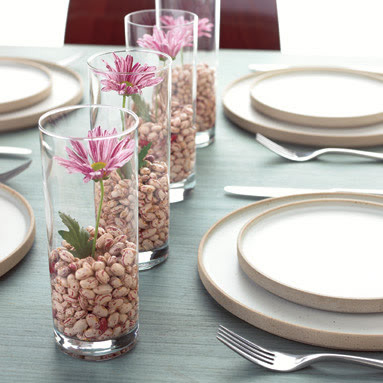 I was checkin' out the Rachael Ray web site for the first time tonight, and came across a variety of SUPER adorable and SUPER easy DIY centerpieces. And they're inexpensive, too! Check out the cute ideas below! I thought this were so simple and classic looking. I love how flower doesn't come out of the glass, but it's still the focal point. A line of these would make for a cheap, but classy centerpiece. 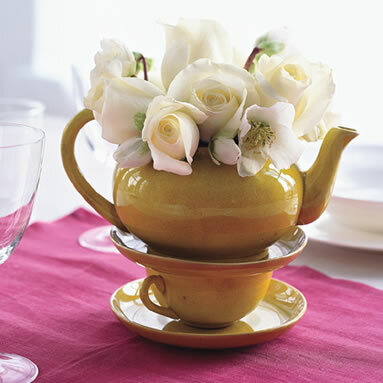 Planning a garden-themed or tea-party anytime soon? How about a mother's day brunch? How fun would this centerpiece be? Hit up your local antique shop or thrift store and check out their teapot selection! 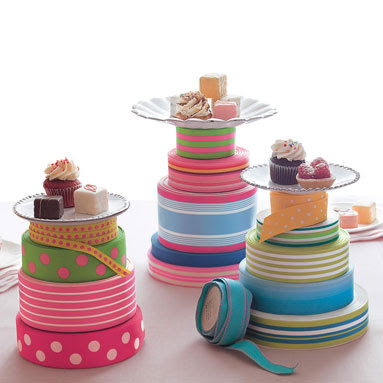 I'm sure you could find a few different patterns to display in different areas or tables at your gathering. I really liked this idea for an outdoor dinner party. I believe you could use any lentil, but I'm thinking some coffee beans would be great for this centerpiece. 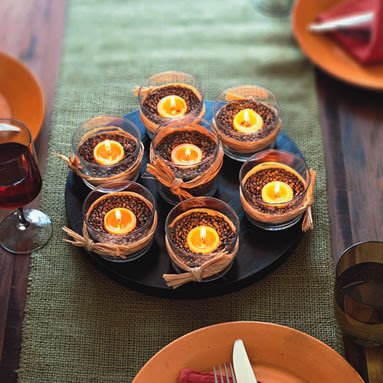 Add a tea light, a little twine around your votive (I believe the above are just OJ glasses...) and place a cute little stand and call it good. This would create a nice little ambiance to your evening meal. Simple. Cheap. Love. 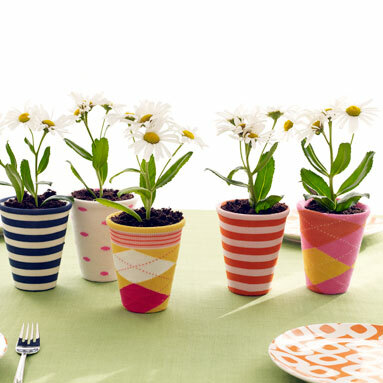 What centerpieces have you made for your spring and summer events? love those! Especially the teapot and ribbon stands! I'll be using a lot from the garden and dusting off all the ceramic pitchers from winter storage! 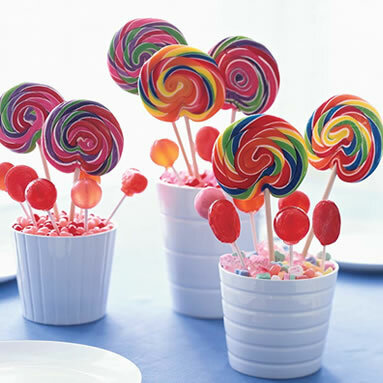 I can't wait to see the centerpieces that you come up with! i would love to make the spool as plate stands but i dont know where to get the big spools, any thoughts?